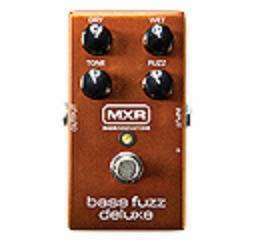 The team at MXR Bass Innovations dug up a rare vintage fuzz and modified it for the modern bassist. The resulting stompbox delivers a cutting and bold fuzz tone without degrading the punch and clarity. Easy to navigate and control your tone from crunch to full out fuzz. Easy to use, sounds great and I love the fact that you can dial in the dry and fuzz separate so you never lose your original low end.